Many people have asked me, what is dragging back legs? Let me give you brief information regarding that first before going further. So, when the dog is having difficulties in moving around, and he walks by over pushing his front legs and not at all using his back legs, it is known as dragging back legs. It is a sad sight to see a dog like this – struggling just to walk straight. There are many reasons which can cause this tragic situation. In this article, I am giving some useful information about the causes, symptoms, and possible treatments the severe issue of the dog dragging back legs. Let’s start with the reasons. The causes stated above are the most common causes we see when a dog is dragging his back legs. When you look at any dog in such condition, it is suggested and preferable to take him to a pet’s doctor as soon as possible as this symptom may lead to some severe conditions and protect the dog from getting worse with the early diagnosis. The symptoms of this weakness may take several years to develop or come over suddenly. It depends on the illness or issues the dog possesses. To find out the symptoms, one has to observe any of these physical or behavioral changes that occur. When you see that the dog can’t balance himself and unable to coordinate his hind legs, then there are significant chances of the issue we are talking about! If the dog is not stable and facing difficulty in walking or couldn’t maintain proper balance, then we can say that he has the lack of coordination. Observe the dog and note down how many times he avoid to get up or walk even after offering him his favorite food or presenting some treats in front of him. Also, know that is there any swelling in his body or not! Lethargy is one of the usual symptoms such issues. Sometimes, he even faces difficulty in standing up or reluctance to move, jump, or be active. Is there any severe loss of muscle mass which is unexplained? If yes, then it is essential to take him to his veterinarian as soon as possible. Sometimes, this type of situations can also collapse the pooch if avoided. When the dog dragging back legs, panting, then there might be some significant health issues. Observe the smallest change in his behavior or any physical deficiency to diagnose fast and better. Apart from these symptoms, there are some other vital symptoms which must not be avoided like continuously licking joints, abnormal weight gain, loss of ability to urinate, incontinence, pain, partial analysis, irregular or slow gait, weakness, lameness, etc. Whenever you see anyone symptom or more than one symptoms at the same time, do not ignore it for more than two-three days and take him to the vet doctor. As mentioned above, if you see any of these symptoms stated above, then it is crucial taking the pooch to the clinic. The veterinarian will determine the exact thing which is wrong with the dog and underlying causes of the back leg dragging. He/she goes for a physical examination of the dog to get the idea and sometimes suggests a complete set of tests. After the diagnoses, the doctor decides which kind of treatments the pooch will have in the future. Holistic Treatments like acupuncture, exercises, hydrotherapy, regular walks, etc. helps a lot to the dog so that he can recover fast. Such treatments are meant for the overall health of the pooch to improve quality of life. Appropriate diet and nutrition which provides strength to the body and helps to control the inflammation. Regulation of the immune system also depends on the nutritious food. 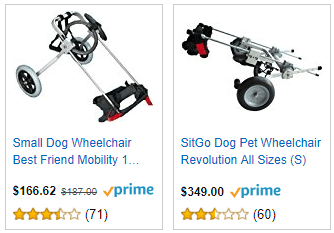 If you want to take care of your dog at home and not to the hospital, then there are many facilities available like pet’s wheelchairs and harnesses, orthopedic beds, equipment for physical activity, etc. You can try each of them according to your dog’s needs and the severity of the problem. Just like humans, the dog’s legs or spinal injuries can be operated. They require a lot of rest, either before or after the surgery, but this option can treat the dogs in the best possible manner. Even dog cancers might be cured by the variety of treatments like radiation and chemotherapy. In the process of curing his physical disability, we cannot take the risk of his mental imbalance. As he is suffering from pain, we have to take care of his grooming, bladder, as well as overall health being the owner. Canine paralysis can often survive with proper care and medication. It is an unexpected situation and very difficult to predict. The dog and even the dog owner must be patient enough to go through the whole procedure. Keen observation and crucial continuous support are the keys to success in this type of cases. I hope you have found this article informative and useful. 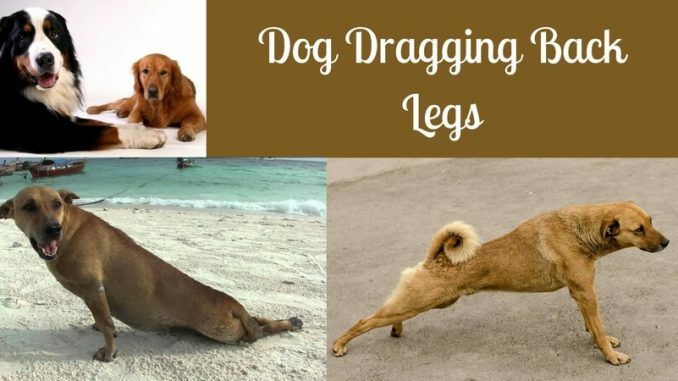 The purpose of providing all these information regarding the causes, symptoms, and the treatments of the dog dragging back leg is to give all of you a hint which should not be ignored when you see some of these signs. Early diagnosis can cure him fast and with the minimum effort. It also reduces painful procedures and spread awareness. I wish you and your furry friend a happy, safe, and healthy life. Stay tuned for more!